It's a rare day that Animals Eating Animals brings you something other than complete canivore carnage. While we always aim for photos that show 'Nature at its finest' we're usually aim for the guts and glory of a shark chowing down on a seal. 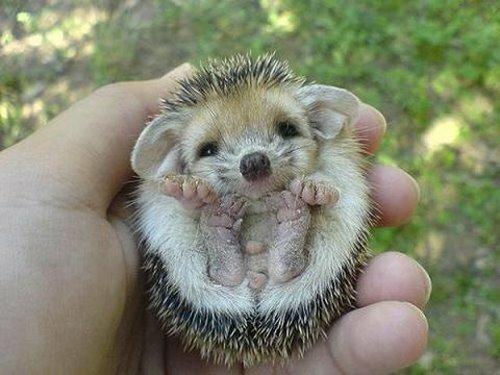 Today, we're forgetting all that mischief and bringing you this damn cute lil hedgehog. Why? Because we fricking want to! Look at that smile and legs! I skipped the whole part of the animals eating other animals. I'm thinking about "stealing" some pictures.